Kawasaki syndrome or mucocutaneous lymph node syndrome is also known as Kawasaki Disease. It is a disease that can affect many organ systems in the body including the blood vessels, mucous membranes, skin and lymph nodes. It may lead to serious consequences if the disease begins to affect the heart and causes severe coronary aneurysms. About 80% of the people with the disease are under age five. However, children over age eight can be rarely affected. The disease occurs more often among boys (over 60 percent) and among those of Asian ancestry. It can occur in any racial and ethnic group. Over 4000 cases of Kawasaki Disease are being diagnosed annually in the United States. Less than 1 percent of those who get it die. The following include some of the symptoms of Kawasaki Disease. The exact cause of Kawasaki Disease is not known. However, it is believed that genetic factors and environmental factors can contribute to getting this disease. It is not a contagious disease and so, if one child gets it, it will not be passed on to other children, despite close contact with the child who is suffering from the disease.The Kawasaki Disease could be caused by an infectious agent such as a virus. Scientists declares that it is rare for more than one child in the family to develop Kawasaki Disease. With prompt treatment, it is usually possible for children to recover completely from Kawasaki Disease. However, in some cases, serious complications may arise due to this disease. The following list includes these possible complications. heart diseases: It is proven that 15-25% of the children with Kawasaki Disease experiences heart problems. Coronary arteries (arteries that supply blood to the heart muscles) can be affected and part of the coronary wall can be weakened and balloon (bulge out) in an aneurysm. 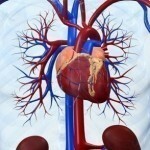 A blood clot can form in this weakened area and block the artery which sometime leads to a heart attack. The aneurysm can also burst, but this rarely happens. 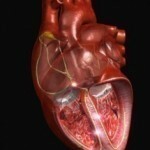 Other changes include inflammation of the heart muscles (myocarditis) or the sac surrounding the heart (pericarditis). Arrhythmias (abnormal heart rhythms) or abnormal functioning of some heart valves can also occur. This could lead to complications such as trouble with breathing, pain in the abdomen and headaches. The following includes the treatment options for Kawasaki Disease. High doses of Aspirin is given to reduce fever, rash, joint inflammation and pain. This is also believed to help thin the blood and prevent blood clots from forming. Intravenous gamma globulin is a medicine that is use to decrease the risk of developing coronary artery abnormalities. Doctors can usually manage the symptoms of Kawasaki Disease if they detect it in the early stages itself. 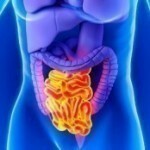 Usually, the symptoms disappear within 2 days of the start of treatment. 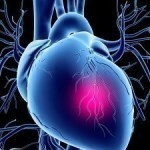 However, if the disease is treated within 10 days of the onset of symptoms, the heart problems are unlikely to develop. Cases that usually go untreated can lead to serious complications such as vasculitis which can affect the coronary arteries which supply blood to the heart. If Kawasaki Disease is suspected, the doctor may order tests to monitor heart function (echocardiogram) and might take blood and urine samples to rule out other conditions such as scarlet fever, measles or an allergic drug reaction. Rheumatic heart disease is a disorder in which the heart valves are permanently damaged by a bout of rheumatic fever.